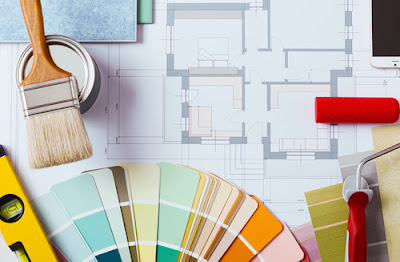 While painting your home, office, or business complex, it is very important to choose the right kind of paint. A wrong choice is equivalent to wastage of money and time. It is understandable that for starters, it becomes somewhat difficult and confusing to decide on the paint type. 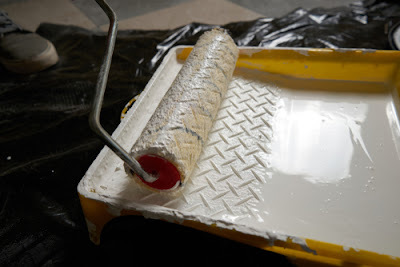 Hence a basic knowledge of the various types of paint might be of great help. Choosing the right paint depends on what is to be painted, its purpose and the kind of finish you want. This is a rough determinant of the amount of money you have to spend and the kind of end product that you will get. You will find that these do not have reflective properties, and many would consider them to be quite boring. They are however quite cheap, and if you are dealing with a room that will not see much traffic overall, then it might be in your best interest to use a paint of this type. This is also good for ceilings, and if you have a low traffic home, then these paints might work for your walls as well. -Good adhesion even on surfaces already painted. -Good color stability due to the sun. -It should not be applied at temperatures below 5ºC because water may freeze. -It may require priming (high viscosity which reduces penetration capacity). Satin paints can easily washed as compared to flat paints which are harder to scrub dirt and dust off without rubbing the dirt in further. Usually used in the bathrooms, kitchens and laundry areas given that its resistance to moisture is higher than other the types. - Satin paints do not reflect light as much, glazes can hide imperfections in the surface of the wall. - Ideal for small spaces such as a bedroom or bathrooms. - Has great adhesion properties. 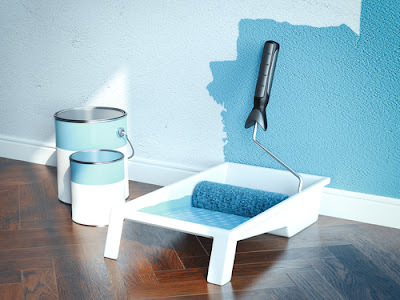 -They can amplify imperfections in the wall, such as the recent plaster patch, cracks or uneven paint. -Satin finishes are most often used in upholstery, blinds, window sills and other areas of the home that have woodwork installed, such as crown molding. -Can painted in the living room or walls of the children's rooms, where frequent cleaning is required. - Have a bright and shiny appearance that illuminates the entire room. - Since semi-gloss finishes have a heavier gloss to the surface, differences in gloss, streaks in the paint or imperfections under the retouched area will be shown throughout the painted surface. - Its also suitable for for the walls of corridors and highly frequented areas. These water based paints are commonly applied for your house's ceilings and walls. Acrylic paints are soluble with water, but once they are dried up, they are absolutely water resistant and cannot be tarnished by water damage. Depending upon the composition of the acrylic painting materials, they can represent the properties seen among art made of watercolors or oil paints. The property or luster effect of acrylic paints vary greatly according to their dilution with water or application of acrylic gels. These may resemble watercolors or oil paints or may even bring out certain unique characteristics of the acrylic painting itself, which would not be available using any other media. Oil based paint is a type of paint that is generally used for windows and doors since it does not wear down easily. In contrast, characterizing the level of smell an oil based paint has, is stronger compared to other types. Drying time is longer than usual as well. Oil based paints also require thinners or mineral turps when cleaning up. - Great flexibility and penetration power. - Protects steel in aggressive and low humidity environments. -Slow drying, especially in cold weather. -Low resistance to acids, alkalis and water. -dark are more resistant than clear ones. -It can be used on other surfaces: plaster, cement, wood and steel, both outdoors (more oil) and indoors.